There are many flavors of spiritual seekers, and some appear far more entrapped by their beliefs than others. We often cling to our beliefs and our approach with the assumption that we have it all figured out, and then we judge those who are traveling an extremely different path. As I share my opinions in this post, the intent is not to assert that you are wrong if you have opted for a different approach to spirituality. I have my perspective and preferences, and you have yours. What matters most is not that you agree with me but that your approach works for you. My preferred brand of spirituality is sometimes messy, disorienting, deeply emotional, painfully honest, and raw with the end goal being transformation and empowerment rather than staying pacified and comfortable. I do not follow anything specific because being a follower is never the answer to me. My perspective shifts and evolves based upon my experiences, my observations, and the knowledge I gain through researching and listening to other people’s perspectives. I definitely do not have all the answers and still have much to learn and explore, but I’m writing this as an encouragement for us to consider which belief patterns hinder us if empowerment is the goal. If you prefer staying pacified or blissfully ignorant rather than seeking empowerment, this post is not for you. If your idea of empowerment is only personal happiness and peace, and you do not have concerns about the external world because it is insignificant to you, you are likely to disagree with much of what I’m sharing here. If you are new to the awakening process, you might be confused about what to believe, so you can just store these ideas I’m sharing in the back of your mind and revisit them later. If you are troubled by what you see around you, you possess empathy, and you have the desire to be an empowered spiritual activist, this post is for you. This post is also for you if you have an open mind and a willingness to question your beliefs. 1. Everyone likes to rag on the sunshine and rainbows new age folks, and there is good reason for that. A preference for spirituality that is strictly focused on happiness, positivity, light, and feel-good messages is juvenile and disempowering. Avoiding the wounds and shadow within ourselves and the darkness in the world does not allow true healing or transformation to occur. We don’t create solutions or end the mind control over humanity by pretending that there are no issues or painful truths about this reality. Most of us know that denial and optimism taken to the extreme are dysfunctional coping strategies. A lot of people in the new age movement think they are far more advanced and less brainwashed than religious people, but I have noticed some similarities between the two groups. Just as followers of Abrahamic religions can continue handing over their money to the church and love their evil god Yahweh/Jehovah/Allah from “holy” books because they don’t face the truth about their religion, new agers are as prone to being ignorant, obedient slaves through their avoidance of darkness. Ignoring problems and being stupefied by happiness does not stop the dark controllers of this world from engaging in their games of deception. Ignorance, rather than truth, is truly what’s negative. While some people prefer to think good vibes will fix everything, the controllers take action to bring the changes they want. They love good, ignorant slaves who remain passive and distracted from the evil actions they carry out against humanity. Happy ignorance is hardly a threat to them. Need any evidence of that? They target real whistleblowers who expose their lies and corruption. They silence the ones who speak too much truth about their criminal, psychopathic behaviors. Spiritual people who speak of fluffy, happy things are ignored and allowed to keep spreading their messages that fail to fix anything in any noticeable way. 2. Spiritual empowerment is not just meditating, being blissed out non-stop, and manifesting personal desires. In the beginning of the awakening process, an inward healing journey usually needs to take place, so it’s very common for someone to focus on self and possibly isolate as they try to adjust. This is understandable and expected. What is not empowering is when people adopt spirituality into their life to feel better about disempowering situations in their life that they know ought to change. You don’t become empowered by numbing those uncomfortable feelings that are trying to be your messenger. Empowerment is also not using spiritual techniques to acquire more useless material possessions to feed self-indulgent egoic desires, which usually contributes to more suffering within ourselves and the world. Empowerment is about seeking wisdom, expanding our awareness, healing inner wounds, discovering our unique gifts and a purpose to fulfill here, helping one another, and bringing positive change. If we possess love and a concern for humanity, real effort is needed to reduce the suffering we observe in the world. We are not meant to be martyrs who completely sacrifice ourselves for everyone else, nor should we think we can control all outcomes here, but we can each play a part in healing and adding more light to the world if we care. 3. There is a toxic mindset among a lot of new agers who think good and evil do not exist because they claim truth is subjective, or they think we should sit back and relax because good and evil will automatically balance themselves. In my viewpoint, these beliefs are illogical, immoral, and extremely irresponsible for us to adopt. There is no reason to tolerate or justify unnecessary suffering and extreme cruelty that is committed by humans. It is obvious we can’t help that some suffering exists here (e.g. animals must eat other animals to survive). But if you think there is a justifiable purpose or divine plan for children who are severely neglected, tortured, raped, or murdered by psychopaths (and this is happening every day), think of how you would feel if it happened to someone you love. Better yet, if you believe evil does not exist, I wonder how well you could stick to your beliefs about the non-existence of evil and unnecessary suffering if an act of terrible injustice was carried out against you. Believing that evil does not exist and that intentional, unnecessary suffering should not be stopped is a sign of having no empathy or compassion for your sisters and brothers in the world. Spirituality that empowers should inspire us to shed light on dark aspects of truth so that we can figure out ways to prevent unnecessary suffering. Not wanting to call something evil gives the psychopaths and controllers of our world even more permission to keep engaging in their selfish and harmful acts against humanity. If there are certain acts that you could never commit because you would feel too guilty doing them, it means you still have a conscience. Why should we make excuses for others who commit these acts? 4. There is an additional trap among those who claim there is no good or bad or that good and bad perfectly balance one another so we should just ignore everything. After sharing these illogical ideas, in the next breath, they will lecture, criticize, and look down on those whom they perceive as negative, depressing, or mean for talking about things they would rather not hear. If good and bad do not exist, why do they view one person’s perspective as good and positive while the other is deemed wrong? Surely I’m not the only one who sees the contradiction in this. It is as if they prefer that you suppress how you think and feel because that is somehow wrong, but they don’t care about the evil acts actually occurring in the world. To them, evil does not exist or serves a purpose, yet if you have empathy and concern about unnecessary suffering, you are the flawed one who needs to change because you feel too much. Suppressing our concern about humanity’s suffering and enslavement is not empowering. We do not embark on the spiritual path to become desensitized, apathetic, and unconcerned. You do not need to act like a mellowed out robot who lacks strong emotions to be spiritual. It is ok to feel angry or depressed sometimes about what is happening. It makes you a healthy, compassionate human who is still connected with your heart and your emotions for reacting to situations and actions that are obscenely abnormal and sick. Our compassion and feelings should motivate us to find solutions and behave in ways that will reduce unnecessary suffering in the world. 5. This trap is not entirely focused upon empowerment, but it’s one to be aware of if you want to communicate ideas in a way that can be perceived well by others who might benefit from hearing your perspective. Some people on the spiritual path act as if they are completely enlightened and have all the answers about life and the universe, yet when disagreement occurs, they display a smug holier-than-thou attitude. They get into a debate and end their message with a snide “Good luck!” or “Blessings to you!” Maybe their words are not always ill-intentioned, but the attitude that comes across in their communication usually makes their message even less attractive to those who disagreed from the beginning. Being open-minded, understanding, and humble as we communicate with each other gets us much further ahead if we are seeking truth that will empower us. 6. In the beginning of this post, I mentioned that people who lack interest in the external world and its problems are probably going to disagree with my ideas here. Some spiritual seekers believe that detachment from the problems of the world makes them more spiritually mature and advanced. To be honest, my spiritual journey so far has created detachment from the material world, and I sometimes feel too weary about all the dramas here to get overly involved, but I do not believe detachment is empowering. 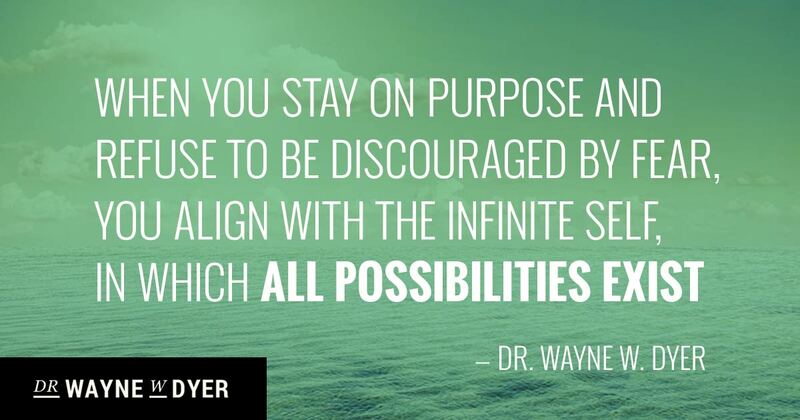 To be advanced and empowered souls, it means we live life with a mission and specific purpose. You do not have to be a literal activist to be a spiritual activist nor do you have to lead a huge movement or help a significant number of people to fulfill this role. When you are aligned with your heart and soul, you will likely feel an urge to be in service to others in some way. We become empowered when we recognize and exercise our power to bring more light, wisdom, truth, authenticity, and joy into the world. Rather than detaching from the world and its problems, we express our empowerment by integrating our higher knowledge and gifts into our daily lives to solve problems and manifest more of what we enjoy seeing into the world. Even if this experience as a human feels like an illusion, this 3D Earth reality is where we are right now, and detaching too much may be a form of escapism that prevents us from asserting the power we possess. 7. Some people believe the predictions that say there will be a big cosmic shift or some significant event is going to happen in the future that will benefit humanity. I am not a psychic and cannot tell you what will or will not happen. Maybe some of those predictions will occur, but maybe they won’t. Let’s say they don’t happen, and no one ever put in much effort to change anything. That means we essentially surrendered our own power, gifts, and abilities in the false hope that somebody else would save us and fix our problems. Be aware of the fact that the people running the show here don’t want anyone interfering with their plans, and some of the people telling us not to worry are possibly trying to keep us apathetic, passive, and pacified. Just being hopeful that change will happen on its own will possibly not be enough, yet worrying constantly about what might happen is not going to help. It is intention and mindful action that hold power. Empowerment is when each of us figures out a realistic way to contribute to positive outcomes for ourselves and humanity. We can be proactive and shape our destiny instead of being victims of false prophecy. 8. Here is another massively disempowering trap: being gullible and not using discernment to determine which ideas or movements are helpful and empowering for humanity. It is understandable that newbies will fall for some of the spiritual lies and traps, especially within the new age movement. There is so much info out there that it can initially be hard to decide what to believe or which path to follow as you begin to explore. The bigger problem lies with the more experienced new agers who are like religious followers in that they remain ignorant about the history of religious and spiritual movements. Many spiritual seekers have never investigated the fact that one of the original leaders of the new age movement, Alice Bailey, was married to a 33rd degree Freemason, that she was a proponent of the New World Order, and she had associations with John D. Rockefeller, David Rockefeller, and the U.N. The Rockefellers are notorious for pushing their social, economic, and political agendas through education and religion. We should be suspicious of a spiritual movement or spiritual leader that has a connection to an elite family like the Rockefellers. You may find value in some new age material and also in some of Bailey’s teachings, but be aware that the leading voices in both the spiritual and truth seeking movements could be controlled opposition or have ties to dark or deceptive forces that do not have humanity’s best interest in mind. It is important to think about and question people’s messages instead of just blindly following someone. Breaking away from mainstream religions is not enough to avoid being duped and brainwashed. Empowerment on the spiritual path means you always exercise healthy skepticism, trust your intuition about people’s motives, and become aware that certain spiritual movements, teachings, and leaders/teachers/gurus have been purposefully created or supported by the controllers to deceive and keep you submissive. They know there is power among spiritually awakened people, but they prefer that you not discover any philosophy or truths that could expose their lies and threaten their position of power. They fear our desire for truth and empowerment, so they find clever and subtle ways to spread disinformation and lies. We have to be smart enough not to be manipulated and fall for their tactics. 9. Relying on guidance from gurus, spiritual teachers, spirit guides, angels, ascended masters, extraterrestrials, a supposed god, or any other entity is never empowering or wise. We need to learn how to be empowered through our own soul instead of falling into that helpless victim mentality among religious followers who search for saviors and power outside themselves. We do not need anyone to hold our hand or give us answers unless we do not acknowledge the divinity and wisdom that lies within. Plus, I know some people will not even want to consider this idea, but some of the so-called guides and angels might be deceptive, limited in their abilities, are feeding on human energy, or are using humans for reasons unknown to us. Who knows what their intentions are? Maybe some of them want to assist us, but we need to trust our intuition if anything feels wrong. Maintaining boundaries and practicing healthy skepticism about what we allow into our lives and listen to are essential if we desire our own soul’s empowerment. Use the spiritual path to discover your own power and inner wisdom instead of just connecting with other spirits or energies that you think are trying to help you. You can learn to trust yourself and be your own guru. 10. A trap I fell for in the beginning of my spiritual journey was that I thought I needed to destroy the ego. Immediately after an awakening, we usually become aware of how strong our ego attachment was. As the old identity falls away due to a sudden awareness that it does not fit who we really are, there is much confusion about who we are, how we should behave, how we should identify ourselves, what we desire, etc. Personality labels can begin to feel really strange and inaccurate. Confusion is a normal reaction during this part of the process, but there is no need to destroy anything or to become empty nothingness. We are here to express our uniqueness, have our own dreams and desires, live life from our own perspective, and feel a wide spectrum of emotions. Desires may simply shift after awakening, and we will hopefully learn not to be as attached to our emotional states or whatever identity we decide to wear. It is normal to have an ego, though, throughout your life and also on the spiritual path. There are many times when your unique expression is much more powerful and influential than trying to exist as no self or nothingness. Empowerment can exist when the ego is balanced with the soul. 11. Whatever spiritual path you take, it is not empowering to think you must be completely non-judgmental, nice, peaceful, and unconditionally loving at all times. The powers that be love tactics that keep us meek and submissive. The psychopaths who hold positions of power do not want you calling them out on their wrongdoings. Religious people are the worst victims of these mind control manipulations considering how fearful they are about even questioning the existence of the god they worship. Sadly, a brainwashed, submissive population is considered easy prey and, to put it rather bluntly, looked at like a bunch of idiots and pussies to manipulate. Kindness is not a weakness in my eyes, but narcissists and psychopaths will seek to take advantage of vulnerable and kind people. We are in a reality where evil exists, and the psychopathic perpetrators have no remorse for the pain and suffering they inflict on innocent people. To be spiritually empowered, we need to strive to become gentle warriors who know when to express our sensitive, soft, and gentle side and when to stand up for ourselves and defend people who are in harm’s way. There is no empowerment in allowing jerks to walk all over you or passively watching anyone destroy kind and innocent beings. 12. Some people on the spiritual path believe that non-attachment to thoughts and beliefs is ideal. I believe this is true, to an extent. Stopping excessive mind chatter can be extremely liberating, especially if someone suffers with anxiety due to compulsive thinking or if someone is under a lot of stress. Having temporary moments where thoughts and beliefs are dumped from the mind is a healthy, beneficial practice. The problem is that some people could take this idea to the extreme and consider it ideal to stop thinking or believing much of anything most of the time. I agree that clinging too tightly to thoughts and beliefs is unwise, but I can’t see much empowerment being achieved among people who prefer to stay ignorant and empty-minded too often. Some of us are here to be free thinkers, to play around with ideas, and to try to seek empowerment through knowledge. We recognize the power of the human mind and enjoy the search for truth, even if we are aware that there are some things the mind cannot fathom. Some people also like to claim there is no such thing as truth. To me, that sounds like an excuse to be mentally lazy and not have to put in the time and effort to investigate things. It is far more empowering to keep expanding our awareness, become more informed about this reality we are in, to build plans and solutions, and entertain various possibilities instead of zoning out like boring, non-thinking zombies. If there are other spiritual traps you can think of that you consider pacifying and disempowering, please share those in the comments. I would like to mention here at the end that there is nothing wrong with hope and positivity, especially when it inspires action and empowerment. We just need to be honest and realistic about the dark side of humanity and the obstacles and limits we face within this reality. I believe we have a better chance of maneuvering ourselves towards the path of empowerment if we all will allow ourselves to keep questioning our beliefs and modify them as needed. I recently received a comment on an older blog post from someone who was seeking feedback on how to cope with the fatigue and loss of identity that occurs after a spiritual awakening. I think there are a lot more people who are experiencing these symptoms than we realize, so it seemed like now would be an appropriate time for a new blog post about these symptoms so that people can receive some validation for their challenges. So of course each person’s awakening experience is unique, but there are certain patterns that frequently occur. A common experience is that someone will feel like they are progressing through life on a steady course. They have goals, desires, and dreams, yet they remain unconscious of how much society, culture, media, their family, and their peer group have influenced the decisions they’ve been making their entire life. They’ve built up an identity based on all this programming from external sources. Their main concern is with material, physical, worldly pursuits, and they are highly attached to their false identity, a.k.a. the conditioned ego. Then a particular event occurs in their life that causes the ego to crack open and eventually fall apart. Whether it’s a mystical experience, a near death experience, the death of a loved one, job loss, or a debilitating illness, something significant happens that causes the person to question their purpose, their role, their identity, and maybe even the meaning of existence. When the ego cracks open, that’s when things often turn messy. There is suddenly so much uncertainty about everything. You may suddenly be asking yourself, “Who am I? What am I supposed to do now? What are we all doing here on Earth? Where do we go once our physical body ceases to function? Who/what created all of this? Why do people suffer? How do I make sense of this complicated mess called life? How can I function and maintain an identity now that everything seems like an illusion? How do I move forward and strive toward achieving goals, like I used to, now that everything suddenly seems so meaningless?” As awkward and uncomfortable as it feels to start questioning everything, it is a clear sign that you are evolving and trying to come back into alignment with truth. The process of deprogramming has begun. If you have spent the majority of your life thinking of yourself one way, and now that old sense of self you created is falling apart, it’s no surprise that you feel pain and confusion. Your foundation has been knocked down, causing you to feel unstable and without a sense of belonging. You may feel fearful and insecure about your ability to go back to living an ordinary existence like everyone else. Your perspective on everything may be changing so rapidly that it’s hard to adjust and remain grounded in physical reality. At this point, people often get so desperate to return to the sense of control they felt when the ego was in charge that they will attempt to return to their old life or build a new identity. The problem is rebuilding an identity will no longer work in the way it used to. The reason it will feel like you’re chasing after a prize that doesn’t exist is because an identity truly does not exist. You know now that creating identities is a silly game that people play. Many are completely tricked by this game, but you have become disillusioned by now. The illusion that your ego is who you are has been shattered. When you suffer, it is often because your ego is desperately grasping and aching to regain the dominant position, but those days are over now that you have expanded your awareness. Once you’ve expanded your awareness, you cannot contract it and pretend not to know what you now know. You can try to go into denial, but you won’t obtain inner peace and fulfillment by going down that path. Going back to what was familiar is likely to feel like a horrible fit for your new expanded awareness. It will feel so wrong to go back to the way you were. Maybe you can’t get any sense of direction about where you’re heading, but you know waking up has forever changed the course of your life. Losing your sense of self can be very strange and/or painful. This experience can sometimes lead to ego death or the dark night of the soul. The dark night can last anywhere from a few weeks to several years. Some say their dark night lasted for decades. I find it hard to give specific advice on how to get out of a dark night because, for one, I am still dealing with these challenges. I also think what works for some may not work for all. Even if I could predict a solution that would work for you, now may not be the best time to apply that solution. Awakening is a mysterious process, and no one can say with any certainty why some of us are going through this. It’s unfolding differently for each person, and in order to feel some sanity in all of this, I recommend that you try to be at peace with where you are instead of letting others advise you on what to do. My recommendation is to remain patient. Let the process unfold. Keep learning. Keep expanding. Keep going within. Keep trusting your intuition and truth. See where this journey takes you. It might take you further into emptiness, confusion, panic, exhaustion, or isolation for a while longer, but maybe this challenging phase will serve its purpose in the end. When you feel inspired to act on something, then act, but it is best to avoid rushing ahead of the process and forcing things to happen out of fear or impatience. If you want to rest and withdraw most of the time, do what is necessary for your survival and then rest. If you want to read an endless amount of books and articles on spiritual topics to absorb as much knowledge as possible, then read. If you want to spend hours meditating, meditate. If you want to do nothing, do nothing. Try to stop putting judgments on what you think you should be doing right now. This is your path. When you think about how hard it is to function, to socialize, or to stay grounded in reality, remind yourself that you are ok right now. It might feel like your world has fallen apart, but you are where you are right now. Remind yourself that you are being brave by diving completely into the process. It is no easy feat to drop your old life and begin navigating your way through so much uncertainty. I have one last thing to say about the ego. I think on some level, we have to construct a form of identity in order to function in the 3D world, but a spiritual awakening causes you to lose attachment to your ego. When you play the silly game of creating identities, instead of deriving pleasure from it, you know you’re just playing a game. You know an identity is a false, temporal creation that can change from day to day or hour to hour or even minute to minute. The soul is much bigger than any label. I do not believe words can capture the totality of who we are and what all of this is. Now, moving on to the other common symptom–chronic fatigue. As you lose your sense of purpose and are no longer able to derive any meaning about life, it can erase most or possibly all of your passions, which ultimately feels a lot like depression. Feeling confused and lacking inspiration will pull down your energy. Another theory of why fatigue occurs after awakening is because when the kundalini energy suddenly comes through the body, it can be too intense and burn out your endocrine/hormonal system. The thyroid and adrenal glands are most affected. It’s a good idea to research adrenal fatigue and hypothyroidism to get an idea of whether you might be suffering from hormonal imbalances. Also, perhaps you have always been a highly sensitive person and therefore are less resilient at coping with stress, making you even more prone to suffering from stress-related ailments like chronic fatigue. Potential solutions for fatigue are to get more rest, reduce stressful experiences while increasing pleasurable ones, connect with like-minded and supportive people, practice meditation and other relaxation techniques, engage in light to moderate exercise, eat nutrient dense foods, resolve nutrient deficiencies, experiment with supplements and herbs, find outlets for creativity and expression, make time for self-care, and avoid having expectations of when you hope to recover. Though it is no longer as intense or quite as debilitating, fatigue and low motivation are still issues for me. I try to be ok with the fact that this is still part of my reality. I’m not saying you should give up and surrender to the idea of being exhausted or unmotivated for the rest of your life. Life just flows easier when you can be proactive and consistently put in effort, yet you are also allowing your body to heal at its own pace. I know how hard it is to be patient when fatigue becomes an everyday experience. I’m sorry to say that the awakening experience is not just about feeling peace, connection, and bliss all the time. If you are a real truth seeker and are willing to confront the darkness that exists within yourself and out in the world, it can get really messy and uncomfortable. The fatigue and low motivation are forcing us to stop participating in the external world. It’s allowing us to look within ourselves deeply enough to reach new levels of awareness. We’ve been playing as actors in the physical world. Now perhaps is the time to slow down so we can learn, heal, and discover who we really are. We can use this time to get in touch with our soul and listen to whatever messages it is trying to convey. It is time to follow our inner guidance and stop letting the voices all around us control the direction of our lives. To the person who posted the comment related to identity loss and fatigue, thank you for being vulnerable and sharing your difficulties with me. I hope all that I shared here helped in some kind of way, even if it only helped normalize what you have been feeling and thinking lately. Have faith that you will continue to be transformed in significant ways through your awakening experience. With time and patience, it becomes possible to feel less resistance to sitting with uncertainty. Anyone else on the spiritual path been finding it harder to be around crowds of people? This seems like a common symptom of spiritual awakening, but I wonder just how many people out there are trying to cope with this same challenge right now. I began to notice almost exactly a year ago that being around a lot of strangers drove me a tad crazy. I would be stuck in traffic at a stoplight and feel like I was picking up on everyone’s insecurities, worries, and anxieties. It felt pretty suffocating. Other times, it triggered a sense of sadness within in thinking about how this is not the way people should be feeling on a daily basis. On one of my worst days, I was alone on the beach surrounded by lots of families and tourists who were on vacation. Instead of sensing joy or peace on this beautiful summer day, it seemed like many of the people around me were grouchy and miserable. The energy got so intense that I felt like either pulling my hair out or grabbing all my belongings and running a mile away from those people. I frequently isolate myself from crowded areas, mostly because I’ve never been a fan of crowds. Prior to awakening, crowds were more like a nuisance. If I needed to go inside a store and saw the parking lot was filled with cars, I would possibly roll my eyes for a second but then carry on with business. I could go sit in a crowded bar with a friend and not be overly bothered by all the people, but I still preferred my alone time, especially in nature. It was my time to enjoy some silence and reflect. But lately, I’ve begun to notice that crowds can stir up strange emotions in me. Recently I walked into a busy restaurant with my boyfriend to grab some lunch, and I immediately felt extremely uneasy and suffocated while standing in line. There was loud music and a high amount of energy in the room. I tried to tune out everything, but I felt like I was becoming emotional and needed to leave to avoid the awkwardness of ordering food with tears streaming down my face. I told my boyfriend that I needed to step out, so he followed me. My eyes were filling with tears before I could even sit down on the bench outside. I was as confused as my boyfriend was as to why I started to cry. I could not explain it, but I felt so much better once I got out of that environment. The old me might have felt slightly annoyed by all the noises and people, but I know I would have tolerated it just fine. I’m finding that I have become overly sensitive to such a degree that I can no longer maintain my inner peace everywhere I go. The environment I’m in seems to make a difference. Some public places are fine, even if they are a little crowded. Others stir up all sorts of emotions that I can’t explain. My best comparison that describes how I feel when I enter one of those yucky environments is the icky feeling you would get if you stepped into a dark, murky lake. As soon as you put one foot in, you’re immediately ready to get the hell out because it’s so nasty and uncomfortable. Lately, I feel so turned off by crowds that I want to get away from living in a city. Living in a small, rural area seems healthier and more tolerable at this point. I have become friends with a woman who has been experiencing issues extremely similar to mine, and she has also grown weary of this area where we live. She is very familiar with chronic fatigue and the inability to be among crowds of people. It makes me wonder if we are being affected to some degree by empath sickness since we are both so deeply affected by the pain and suffering of the world and the city where we live. She is greatly affected by the destruction of trees and the environment, while I feel so much frustration and sadness about the deterioration of human health and our food supply, along with the control systems being exerted onto us. The biggest problem is that the Earth is sick and in pain, and under a constant barrage of attack and torture. Those who harm the Earth do not feel her pain, but people with empathic ability bear the burden of being overly sensitive in an insensitive world, and therefore have a hard time living here. You cannot cut off from your feelings, nor can you armor yourself against them, because numbness is not healing and does not make things better (even if it seems blissfully tempting). The physical symptoms of an empath that you experience are a reminder that you are a healer, and that empathy is a healing gift. Receive the divine healing light from your Source above, let it nourish you, fill you and protect you, then send it out to all who need it, including the Earth. And remember to send love and gratitude to the Earth with each and every breath, because she needs it desperately. Has anyone with sensitivities to energy and suffering found a solution? I don’t think isolation or fleeing from uncomfortable spaces should become a long-term coping strategy, and I don’t like the typical advice people offer about creating a shield around yourself to block energy. I don’t want to absorb yucky or heavy energies so that I become overwhelmed by them, but something tells me that trying to block out and numb myself to everything isn’t the best approach. The way I see it, we are sensitive for a reason. Maybe I will try the strategy mentioned in the article I quoted above the next time I find myself in an uncomfortable environment. If anyone has found a useful tool or strategy to manage energy sensitivity, please share your tips in the comments section. It would be greatly appreciated! Also, let me know how long this has been an issue for you if you can relate to my experiences. 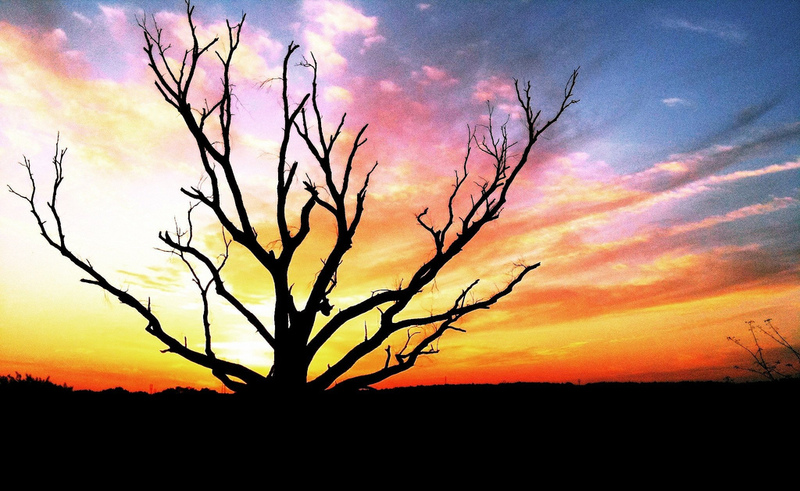 Is a spiritual awakening a traumatic experience? There aren’t many YouTubers I follow, but I’ve discovered a few authentic, beautiful souls on there in the past couple years whose messages have been comforting to me whenever I have felt lost or confused on the path of awakening. One of these lovely people is Kelli In The Raw. I came across one of her videos that I found especially helpful where she discussed the challenges that people face in the awakening process. She described the awakening process in a way that fit with the 5 stages of grief. She said awakening is “traumatic,” which I imagine might sound a little melodramatic to people who haven’t been through all the ups and downs and uncertainties that are usually part of the awakening process. It’s easy for others to trivialize our struggles as they remain in their comfort zone. As we try to embrace this shift, there is much to let go of, which can certainly lead to a sense of mourning for what used to be. We may decide it’s time to pursue new goals, to switch careers, to move to a new location, to end relationships that are no longer fulfilling, to experience existing relationships with family and old friends in a new way, to shed old beliefs, to drop your old identity, to step foot on an entirely different path, and to abandon practically everything that was familiar in order to embrace something entirely new, unexpected, and different. For some people, change is exciting. For others, it creates feelings of anxiety and/or sadness. It feels like we’re being forced to learn lessons about change and attachment since everything is getting yanked up by the roots. For some people who are waking up, there is a strong sense of loneliness and isolation. As we are gaining a new perspective on life, it’s sometimes really difficult to be around people who can’t understand us anymore. We don’t want to talk about the same old things anymore, and yet the people we have known for so long are not going through an awakening yet, so they can’t relate to us and the thoughts we share. Even if you’re not resisting these inevitable changes that are occurring in your relationships, it’s normal to be sad that everything is changing so quickly and that you are losing these connections with people that used to be so important and enjoyable to you. You may know on an intellectual level that the ending of old relationships can create space for the beginning of new ones that are a better match for you, but I know firsthand how difficult it is to stay excited in that transition phase where the new connections have not been found yet. There can also be pain and disappointment from feeling misunderstood. Maybe you’ve started behaving differently, thinking differently, or relating to people differently, and the people around you don’t really get it. You could be going through some difficult things internally, yet everyone around you assumes you are perfectly ok. While you’re struggling to cope and adapt, you might be blamed for not meeting whatever expectations certain people hold of you. I have been hurt by those who can only point out what I am doing wrong instead of taking a moment to ask me, “How are you doing lately? Is everything going ok?” There is already enough whirlwind of change going on inside that having the added stress of conflict in relationships just compounds these issues. And perhaps some of you have tried to reach out to a friend or family member to tell them more about what you are experiencing because you feel quite alone and overwhelmed, yet they appear completely clueless about everything you just said. It’s painful when you were just hoping for a little validation or some level of understanding from someone. I experienced that a lot during the peak of a strange ego death phase I went through last year. I could have explained my thoughts and feelings in a million different ways, but if people have never been in such a place, they’re simply not going to understand it. There is a painful realization in the beginning that maybe you can’t really talk about these things with anyone you know. Sometimes opening up to people who can’t understand creates more loneliness than just keeping your thoughts and experiences to yourself. The sense of isolation can increase when you’re going through a big transformation, and it appears that everyone around you remains unchanged and unconcerned with anything beyond their personal needs and desires. Maybe you are beginning to see beyond illusions and want to live a happier, more meaningful life that is focused on helping others in some way, yet your friends continue living their old lives and seem content with same old meaningless distractions that no longer satisfy you. You don’t want to focus anymore on fashion, sports, celebrity gossip, tv shows, video games, etc. Sometimes you might try to get others excited about your new interests that you find more meaningful, but they’ll act indifferent or critically to what you say. You don’t want to feel superior to these old friends, but you realize you’ve evolved to a new level and have lost the ability to relate with them. It can sometimes be upsetting to see how people, in general, act indifferent to issues that you passionately feel are important to healing ourselves and the world. It can be discouraging when your message is continually ignored because many people prefer to remain in ignorance and not take action. Sometimes, you might have exciting goals or ideas to share but no one in your life to share them with. That’s when you realize how much you’ve outgrown old relationships and need to connect with new people who understand and support the new path you’ve chosen. Of course, you don’t have to drop all your old friendships, but you’ll probably notice a stagnant feeling arise if you keep attempting to live the same life you experienced prior to awakening. You’ve probably noticed how the pain of stagnancy is often much more intense than the pain of growth and change. The last pain of awakening I want to mention here is that pain many of us feel inside when we hear our soul calling for us to do something different, something that is more aligned with our mission or true calling in life, but that old ego talk keeps us paralyzed by the fear that we will fail or that everything will fall apart if we travel on a new path. In the past, maybe you could successfully talk yourself out of following your dreams and passions because you could always justify it with excuses like, “That’s just not realistic for me” or “Maybe I’ll be able to get around to that someday, but I just don’t have enough time/money/resources to do such a thing right now.” After you’ve begun to awaken, it can start to feel like a part of you is dying when you turn your back on the powerful messages that your soul keeps trying to tell you. The excuses you’ve told yourself for so long no longer ease the pain of ignoring or avoiding what you know you need to do for your soul’s growth and expansion. I think it’s helpful to remember that it’s a normal part of the awakening process to feel pain, sadness, anxiety, and confusion, especially in the beginning. Seeing yourself or the world in an entirely different light can be shocking. When you finally move past the shock and realize you need to let go of everything that’s no longer meant for you, there’s a chance you will experience depression at some point. If you stay patient and let things unfold naturally, you will eventually adjust, gain more clarity, and get closer to accepting the dramatic changes you’ve experienced. It’s a lot like the painful rebirthing process of the phoenix who dies by bursting into flames, and then it is reborn from the ashes. We need to burn away any of the old parts that don’t fit anymore so we can finally rise into our authentic selves. There is the risk of dropping your former life and your old identity, which could finally lead to more happiness, success, inner peace, and fulfillment. Or you could stay comfortable and keep settling for the safety and security of your old life where there will likely be an underlying hint of dissatisfaction, regret, and a longing for something more. You know when your soul is calling for change. Will you listen? This post is for those who resonate with lightworker traits. Or if you don’t like that label, it’s basically for anyone who cares deeply about others and wants to make some kind of positive impact in the world while they are here. I imagine most people understand what career burnout looks like, and people who call themselves lightworkers can experience something sort of similar where they become so frustrated and exhausted by the world’s suffering that they eventually lose their passion and their ability to function well within society. Not everyone will experience this, but I wanted to discuss it because I’ve experienced these burnout symptoms in the past couple years and imagine that others out there are struggling with it right now, too. I think the most common reasons why lightworker burnout occurs is because people either become overly concerned about the suffering of humanity and become unsure of where to direct their focus, or they try to help too many people at once because they feel a sense of urgency to help. Whether it’s career burnout or lightworker burnout, if you try to take on too much at once, you’ll obviously burn out fast because you’re not here to help everyone or to save the world. “Lightworker Burnout” occurs in sensitive, caring people who feel overwhelmed by all the world issues that need healing attention. You don’t need to heal everyone and everything, however. Even the angels specialize in a specific focus. So, choose one or two issues that call to your soul. Then pray for the courage and guidance to make a positive difference in those areas. Due to the desire to help others and to seek the truth about what’s going on in the world, I’ve had a tendency to carry the world’s weight on my shoulders. In recent years, I have uncovered a lot of dark truths about this world that is kept hidden from the public. After I overcame the shock of learning these things, I felt a combination of anger and sadness. It is normal to respond that way, but it becomes unhelpful if we get stuck in those emotions for too long. It’s important to be aware of a few things: 1) the truth about what’s happening here is not always pretty or comfortable to know, 2) corruption exists at various levels and within all major systems and institutions, and 3) the news perpetuates feelings of fear and helplessness. If you tune into a news station, there is usually a barrage of terrible stories being told while solutions are rarely discussed. We hear one bad story after another, and if we’re not careful, we’ll become paralyzed by the fear that something bad is always lurking around the corner. To stay empowered, we need to find a way of staying informed enough to make smart decisions without falling victim to the fear-mongering tactics. Once you become aware of the motives and manipulations that the media carries out to keep us in a perpetual state of fear, you’ll probably want to watch less and less tv and seek other methods of staying informed. I prefer alternative news sources on the internet, but you have to be careful with those, too, because any journalist or truth seeker has the potential to develop a complete doom-and-gloom attitude that can begin to infect your mind and spirit if you don’t stay mindful of how it is affecting you. Also, I wish it wasn’t a reality we had to face, but some of the most popular “truth seekers” are shills who are encouraged to spread lies and perpetuate more fear. If you’re a truth seeker like me, you might struggle to maintain your sanity while staying informed. That’s why it is so important to remain aware of your mental and emotional state. If you find that you keep getting pulled down the more that you learn about what’s going wrong, perhaps it’s time to switch your focus to the positive things that are happening and find a way to become part of the solution. I would never encourage people to ignore the problems we’re facing because complete avoidance doesn’t solve anything, but worrying non-stop about problems isn’t exactly productive, either. Although I agree that many news sources focus too much on negativity and fear, one of the facts we ought to learn as adults is that we all have a choice in how emotionally invested we become in the stories we hear. We are each responsible for our level of awareness of what is happening, for the decisions we make, and for our mental and emotional state. Once you’ve learned how to discover the truth without becoming engulfed by fear, worry, or helplessness, you have completely empowered yourself. One way to do this is to focus on solutions to problems. If you hear about a problem and can’t think of anything you can do to improve the situation, move on to another issue that can be solved instead of frantically running around in circles. I think if we follow Doreen’s advice of narrowing our focus to one or two issues to help solve, it is possible to become change agents. Another point I would like to add is that instead of fighting against issues and ranting about how we need to stop this and stop that, it might be more beneficial to put our efforts into creating the new methods and systems that we want to see. In other words, instead of resisting the old, work toward creating something new. Help people see that there are other alternatives by building them yourself. Work on healing yourself before you try healing others. We can’t be of much service to anyone if we’re in poor shape ourselves. This doesn’t mean you have to be perfect and free from all issues, but you need to maintain good health if you want to be effective and efficient at helping others. Take time to heal yourself first if that’s what is needed most right now. Strive for balance in all aspects of your life. Not only is it important to maintain the balance between staying informed and staying empowered, we also want to make sure we don’t spend so much time focused on a particular issue or cause that we ignore our own health and happiness. You deserve to have fun, pleasurable experiences. Your joy and happiness can serve as inspiration to others. Know if your passion and purpose derive from your ego or your heart. If you feel motivated to help others, ask yourself why you want to do so. Sometimes we say we want to help others, but when we’re truly honest with ourselves about why, we uncover other motives, such as a desire to live up to others’ expectations or to feel important or worthy. Do your motives stem from unhealed wounds, or are you really feeling called to do these things? Know what raises your vibration and what lowers it. When we spend too much time around negative, toxic energies, we may end up suffering if we don’t know how to handle it. This is especially important to remember when it comes to following news stories and events occurring around the world. Pay attention to how much time is being spent listening about problems versus solutions. To work toward building solutions, we want to stay focused on what keeps us going in a positive direction instead of getting completely trapped by fear. Have patience and compassion towards those with lower levels of awareness or motivation. If you’re trying to help people who are not as knowledgeable or conscious as you are, it’s helpful not to rush the process or to get impatient with them if they are not ready to change or face certain truths. For example, if you’re trying to teach someone how to eat healthier and take better care of their body, help them find ways to take baby steps. You’ll drive yourself crazy if expect everyone to make dramatic changes across the span of a day, a week, or even a month. Do you typically make dramatic changes overnight? Remind yourself that each person grows and changes at their own pace. Be a guide instead of a people fixer. Most of us who have a strong desire to help probably have a deep desire to fix or rescue people, but that’s not the role we should play. No one is perfect, so fixing anyone is futile. A healthier approach might be to view ourselves as guides and teachers who are sharing our skills, talents, and knowledge to help others more easily maneuver their way down their path. We should avoid rescuing people from their problems so they can learn lessons and grow on their own. Instead of being rescuers, we can be like lighthouses guiding and assisting others through the darkness. A small victory can be a huge victory. It may not be possible to help every person we encounter, but all the small successes can lead to something bigger. Once you’ve helped someone, they might be motivated to help others or begin spreading the information they’ve learned to their family and friends, which could benefit someone they know. Keep in mind that every time you try to teach others what you have learned, you might be planting the seed that is going to help someone grow. Accept that you won’t always succeed. Following your heart and your dreams sometimes requires you to step way outside the box. When you find the courage to step outside the box and do something different from what everyone else is doing, there is always the risk of failure. Some people might not understand what you’re doing. Others might intentionally target you and try to pull you down because your efforts are seen as a threat to the old, failing systems that they are desperately trying to maintain for as long as they can. Don’t let the fear of failure or obstacles stop you from fulfilling your mission. When your intuition tells you you’re on the right path, keep going. You will learn and grow a lot by taking these risks. If you’ve been dealing with burnout lately, I hope some of the suggestions above will help you and inspire you to keep shining your light. For those who have experienced burnout, what do you think is the best way to cope with it? Are animals attracted to a certain vibration? I love sunshine and warm weather, so as soon as the temps started rising in March of this year, I have wanted to spend a lot of my time walking and relaxing in nature. I’ve been living in a coastal city for a few years and always enjoyed visiting the beach, but lately I seek places that are more secluded and less likely to attract tourists. In the past year, it’s been really hard and overwhelming sometimes to be among crowds of people, so I usually try to visit the local parks at times when few people are likely to be there. A couple weeks ago, I discovered a park a few minutes away from my place and have already visited it a few times since then. During my second visit there, I found a wonderful, secluded spot by the lake where the trees and brush have been cleared enough for me to spread out a blanket to sit and read a book or take in the scenery. As I explored this small area, I saw a group of four large swallowtail butterflies on the ground near the water’s edge. Out of curiosity, I approached them, and all but one butterfly flew away. This one that stayed allowed me to touch it several times. 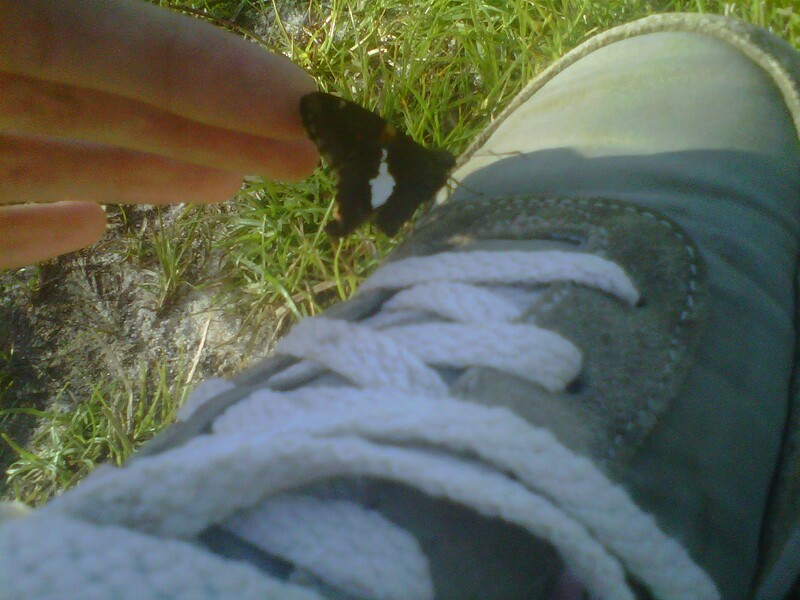 On Wednesday, I went back to the same spot by the water, and this time a smaller dark brown butterfly with small white and orange spots kept landing on my shoes. I was able to touch this one, too. Every time someone would walk past us, the butterfly would fly away and return back to my shoes once the person was out of sight. 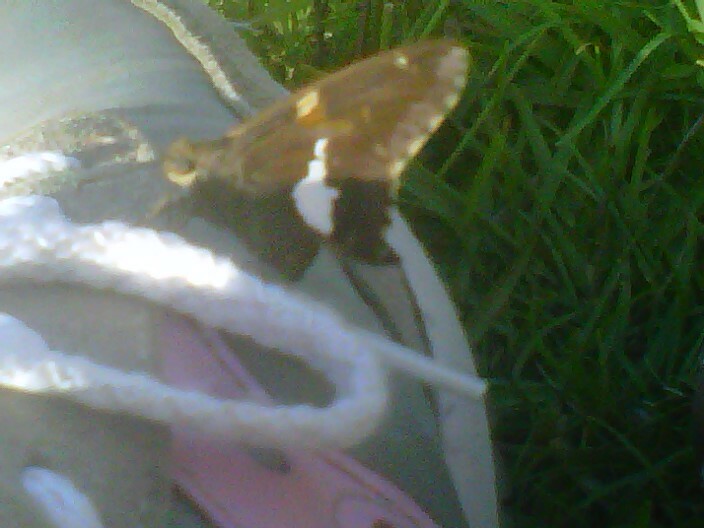 During the last hour that I sat there, the butterfly spent more than half the time either on my shoes or on my tote bag that was next to me on the blanket. A few months ago, back in April, I had a dream in which a guy who owned a metaphysical store announced to all the customers that I was the queen of butterflies. It was significant to me at the time because butterflies are associated with metamorphosis and the dramatic transformations we go through during a spiritual awakening. I was having a difficult time yesterday with feeling so isolated and disconnected from almost everyone around me. Maybe my beautiful little friend came over to sit with me to remind me that I am not truly alone and that I will continue growing and evolving. These beautiful creatures successfully make their transition from the old into the new just as we are capable of doing if we embrace the painful but necessary changes. My butterfly experiences made me start wondering why some people appear to attract animals more than others. Animals are especially sensitive to energy, and it doesn’t take long to realize that when you put excited children around a cat. At the cat adoption center where I volunteer, the cats enjoy gathering around me to receive affection. As soon as a family with small children enters the room, the cats often scatter to various corners, while some hide underneath the cages. These children will ask me why the cats are scared, and I have to explain to them that cats prefer a calm environment. As crazy as it seems now, I remember catching wild kittens and bringing them into the house when I was very young. I think I’ve always had the ability to empathize with what feels natural and comfortable to an animal. My boyfriend and I have noticed that when we go to a park, animals, such as geese and ducks, tend to stay near us while they avoid everyone else. We recently stopped by a local gift shop for the first time and discovered that the owner keeps two cats there. An employee warned us that the black female cat isn’t usually friendly toward people, but she turned into a purring love machine once I petted her, and she continued to follow us out the store as we were leaving. My boyfriend and I are both reserved and introverted, so perhaps animals simply feel more comfortable around people who give off a mellow vibe. Maybe they also sense the purity or kindness in someone’s heart that makes them feel more loving and social. Whatever the explanation is, I am grateful for moments when I am able to connect with one of Mother Earth’s creatures. The other topic I briefly wanted to mention is spirit animals. I have noticed how certain animals will repeatedly appear in my life for several days, weeks, or months at a time. I saw hawks frequently all last year. I saw lizards frequently a month ago. In these past few weeks, it’s been butterflies. I see dragonflies from time to time, as well. 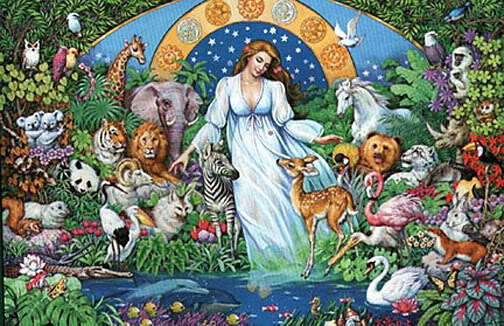 When we repeatedly see a certain type of animal that seems drawn to us, I think it’s worth looking into a possible message that the universe is trying to communicate to us through nature. Just like synchronicities, I believe these subtle messages are frequently being sent to us, but you must remain aware to notice them. Has anyone else noticed how animals seem to be more attracted to certain people? What do you think explains it? Have you noticed any specific animals that frequently appear in your life? Most of my dreams are such a random mess that I don’t attempt to interpret many of them, but a few weeks ago, I had one of those dreams where the symbols and underlying message seemed too significant to ignore. I believe the dream relates to my spiritual awakening experience, so read on if you’re interested to hear more. Around June 18th, I had an unusual dream involving a white horse and a young girl. I’m not sure who the girl was, but she was a very bratty child. From what I remember, it seemed that she was attempting to sabotage the relationship between her mother and the man whom her mother was seeing. I observed this child, appalled by her behavior. Fast forwarding a bit into the dream, we were walking through a large, grassy field and saw that a white horse had been chopped into pieces, and the body parts were scattered everywhere. (Sorry if you weren’t quite prepared for that mental imagery!) I immediately turned to the child, with a disapproving look on my face. I suspected that she was the one who had killed the horse and that it was all part of her plan to sabotage things for her mother. The little girl denied it, and a small part of me wasn’t completely confident that she was responsible, but I told the mother and her child that I didn’t know who else would do such a thing. That was the end of the dream. Before sharing my interpretation, I found it interesting that during the three days immediately following that dream, it seemed like horses showed up everywhere. The day after the dream, I read an online article about ego death, and the author mentioned that her ankle had been fractured while riding a horse. In that same article, she later made a comparison between ego death and breaking horses. During that weekend while visiting my boyfriend at his place, I saw horses three more times on television. On VH1, the music video for “Secret Garden” by Bruce Springsteen came on, and there was a white horse in it. Then in an episode of Roseanne, David was drawing a picture of a horse and explained to Dan that it was more than just a picture of a horse. He said it represented power, movement, and freedom. Additionally, I saw a commercial with a white horse on a beach. If you watch enough television, you’ve probably seen that same commercial. I think I’ve seen it on YouTube once or twice. But anyway, it seems like maybe the universe was trying to show me just how significant my dream was through the variety of images and references to horses. Now, let’s get into dream symbols. 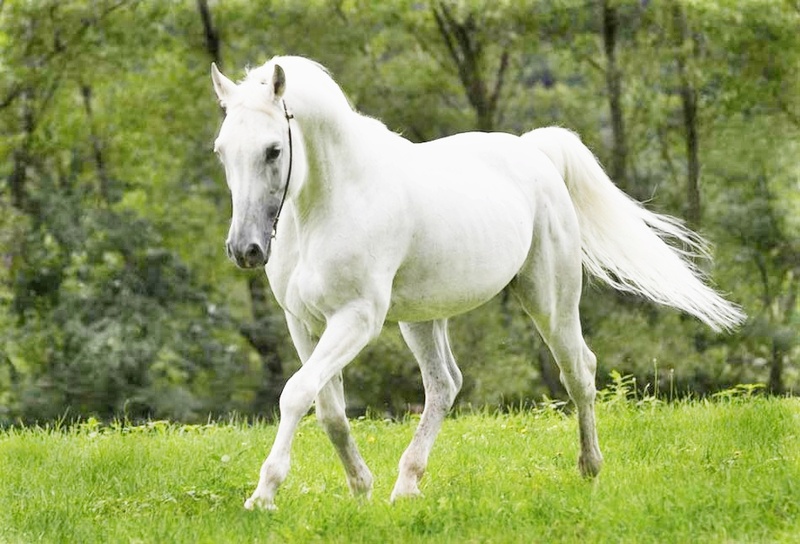 I first looked up the meaning of a white horse in a dream, and these were some of the interpretations that seem more applicable to my situation: “some type of awareness that is spiritual in nature,” “a meeting with expanded awareness of yourself,” “spiritual enlightenment,” “elevating your mood or spiritual aspirations,” and “developing awareness of your instincts and intuition.” Then, I looked into the interpretation of a dead horse and came across these interpretations: “serious loss of energy or motivation which could lead to illness or depression” and “an old and dying set of habits and motivations or way of life.” So basically, a white horse is symbolic of expanding spiritual awareness, and a dead horse represents loss of vitality or some kind of change or transition from old habits to new ones. Here’s my interpretation of the dream: I view the bratty child as my ego. It throws a tantrum, like a child, and attempts to prevent me from connecting to my true self. Like the little girl who killed the white horse, my ego has a tendency to be destructive and tries to hinder my spiritual expansion and development. I also think the symbolic meaning of the dead horse is totally applicable to my current situation. As a result of experiencing a spiritual awakening and ego loss, my motivation has been seriously lacking for the past month. I’ve really not had much motivation for over a year now, but it seems to have gotten even worse lately. I’ve also been feeling increasingly more uncomfortable with the idea of not knowing who I am anymore or where I am supposed to go from here. So yes, there is definitely a transition here from the old into the new, but that transition is far from complete. Perhaps the scattered body parts of the horse could be a reflection of just how much my old identify has been broken apart, and now I will have to slowly put myself back together in some new arrangement. Thank you for reading. If you have a slightly different interpretation or some insight to share about my dream, I would love to hear your ideas.